Scroggins, Larry Virgil (10 Aug 1950 - 20 Nov 2009) [48913:S]. Scroggins, Albert Taylor, Jr. (19 Oct 1920 - 21 Nov 2009) . Son of Scroggins, Albert Taylor (20 Jun 1886 - 11 Dec 1955)  [FS:]. Son of Scroggins, Ella Orice Lester (23 Nov 1889 - Dec 1978)  [FS:]. Husband of Scroggins, Lilla Mae (12 Jun 1922 - )  [FS:]. Scroggins, Edna Emmogene Robinson (5 May 1917 - 23 Nov 2009) [7546:B]. Widow of Scroggins, Mack Franklin (27 Oct 1914 - 22 Oct 1989) [7544:B]. Son of Scroggins, Stanley Virgil (25 Nov 1925 - 8 Aug 2007) [39229:S]. Son of Scroggins, Wilma L. Fitzgerald (13 Apr 1927 - 23 Jan 2014) [39235:S]. Scroggins, Trenton A. L. (7 Dec 1989 - 22 Nov 2009) [49719:&]. Son of Scroggins, Nathan (Jul 1968 - ) [49720:&]. 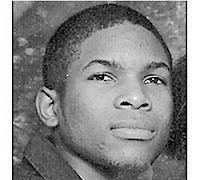 Trenton Scroggins, 19, of Dayton, died early Sunday morning, Nov. 21, 2009. DAYTON — A 19-year-old man who was shot four times Saturday night died early Sunday morning, Nov. 22, according to the Montgomery County Coroner’s Office. Trenton Scroggins, of Dayton, was pronounced dead at Miami Valley Hospital at about 12:30 a.m. Sunday, according to officials. Dayton police continued Sunday to look for suspects in the shooting, which occurred about 7:48 p.m. Saturday on Willowwood Drive near Shadyside Drive. Police received initial reports of four men chasing a male down the street and shooting at him. When they arrived at the scene, they found blood on a driveway and bullet casings on the ground, but no victim. According to authorities, three family members and friends had already driven the victim to Good Samaritan Hospital. He was later transferred to Miami Valley. James Franklin Way "Sonny Man" Sr.
A resident of Port Vincent, he passed away Tuesday, Nov 17, 2009, at his home surrounded by family and friends. He was 81, born on Sept 2, 1928, in St. Landry. He proudly served as a staff sergeant with the U.S. Airborne Paratroopers, 82nd Airborne Division, during the Korean War. Survived by his wife of 54 years, Bonnie R. Way; children, James F. Way Jr. and wife Rebecca, Kim W. Barnett, and Kevin B. Way; grandchildren, Christopher James Way, Christina W. Scroggins, Brandi M. Papadopoulos, Ryan C. Mullins, Andrew G. Way; great-grandchildren, Colton James Way, Shelbie and Taylor Scroggins; brothers and sisters, Jessie Rae Vincent, Billie Jean Coburn, Mildred Vige, Colen Way, Eldie Stafford, Sue Ellen Evans, Faye Goralski, Jan LeBlanc and Al Way; and a very special aunt, Helen McRee Cambre. Preceded in death by his parents, Gene and Ruth McRee Akins, James Lyman and Ruby Way; and a grandson, Austin James Way. Our hearts are broken, but we know that you leave us to go to a better place where you can now truly rest. MARIE S. DUFFY, age 85, passed away November 16, 2009. She was a life-long devoted Houstonian, born March 25, 1924 to the late Fred and Avis Scroggins. Marie was preceded in death by her parents, and brother James K. Scroggins. She is survived by her loving husband, Austin R. Duffy; her beloved daughter, Amanda Mabry and husband Don of Shreveport, LA; sister, Fredda Chapman and husband Henry; sister-in-law, Geraldine Scroggins of Charlotte, NC; and several loving nieces and nephews. Funeral Service: 11:00 a.m., Saturday, November 21, 2009, with a visitation beginning at 10:00 a.m., at Earthman Bellaire Funeral Home, 6700 Ferris, Bellaire. Entombment will follow at Forest Park Lawndale Cemetery. SCROGGINS The family wish to announce the sad death of Paul Mitchell Scroggins on Wednesday 11th November. The son of Charles  and Hazel , brother to Steven  and Blayne  and Julie Chalmers . He is survived by his wife Susan , nee Betts, and his children Charlie , Fay  and Robin . Funeral to take place in Hexham, Northumberland. Guy Thomas Scroggin III, born on January 26, 1958, passed away on November 1, 2009. He is survived by his parents, Guy  & Mae  Scroggin of San Antonio; his sister and brother-in-law, Mike and Jeanie  Poppell of Sabinal, also 3 nieces; 1 great niece and 1 great nephew. He graduated from Lee High in 1976 and from S.W. Texas State University in 1981. He was so loved and will be missed very much. May he rest in eternal peace. It was Guy's wish to be cremated, and a private memorial has been held. 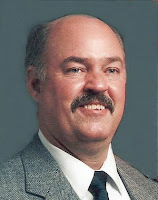 CONWAY, AR - Scroggins, Raymond, 83, formerly of Wichita, passed away Thursday, October 29, 2009. He was born June 29, 1926, in Boxley, AR, to the late Marion Franklin  and Jenny (Villines)  Scroggins. He was also preceded in death by his wife of 53 years, Anna Fern (Wishon) Scroggins . He retired after 32 years with Eby Construction and was an avid fisherman. He is survived by a son, Jackie Ray Scroggins  and wife, Val  of Wichita, Kansas; daughter, Pattie Jean Merrill  and husband, Charles  of Pine Bluff; son, Joe Scroggins  and wife Lynn  of Morrilton; son, Duel Scroggins  of Little Rock; nine grandchildren; and four great-grandchildren. A graveside service was held on Monday, November 2, at Beechwoods Cemetery in Ponca, AR, Rev. Donnie Villines officiated with Jerry and Rosie Bryant assisting. Visitation was Sunday at Roller-McNutt Funeral Home in Conway. Pallbearers were Patrick Scroggins, Joey Scroggins, Joel Tindall, Bobby Scroggins, Chris Scroggins, and Jamie Merrill. Memorials may be made to the American Red Cross or Beechwoods Cemetery. Online guestbook: www.rollerfuneralhomes.com. C. A. "Buck" Buchanan (aka Dad, Grandpa, and Pawpaws) went to be with his heavenly Father and loving wife, Mary, on Thursday, October 29, 2009. He was one of four children, born July 15, 1914, to Claude and Elizabeth Mae (Marler) Buchanan on the family farm in Washita County, OK. The family later relocated to Hobart, OK, where he graduated high school. He attended Harding Christian University when it was located in Morrillton, AR. While in Morrillton he met Mary Lee Scroggin. They were married August 13, 1936. Returning to Hobart, OK, Buck began his business career as manager of T.G.&Y., until he was drafted into the Navy in January, 1944. He was assigned to travel on the USS Noordam under the command of Admiral Nimatz in route to his duty station at Alea Naval Base in Honolulu, HI. After 6 weeks of boot camp upon arrival in Hawaii, he entered Com. Ser. Pac. (Command Service in the Pacific), where he was a photographer put in charge of "V" mail, putting all incoming and outgoing mail on microfilm then reprinting every piece of mail, even his personal mail, before delivery to the addressees. He received an honorable discharge on November 11, 1945. He returned to his family in Arkansas, then relocated them back to Hobart, OK and resumed employment with T.G.&Y. The family lived in Oklahoma City and Memphis, TN while still serving as a store manager. Buck eventually was promoted to Vice-President of Leasing at the T.G.&Y. Corporate office, retiring in 1979. After retirement, Buck continued his business career when he and his wife founded MACABCO, Inc. Through MACABCO Buck participated in part ownership of shopping center re-development at Perry Plaza in Perry OK, residential and townhouse development of the Brentwood Addition of Edmond, OK, and Brentwood Office Park in Edmond, OK. Buck was also instrumental in partnering and donating land for Edmond's original YMCA on Rankin in Edmond, OK. Buck also used his knowledge and experience from his business career while serving as a member and chairman of the Board of Trustees of the Oklahoma Christian Investment Corporation (OCIC), a vital force for the growth and development of Oklahoma Christian University of Science and Arts in Oklahoma City. As a director of OCIC, Buck was instrumental in the University's business development process, including construction of buildings on campus, residential areas, shopping centers (Eagle Crest Addition and Shopping Center); and Tealridge Retirement Center in Oklahoma City adjacent to Oklahoma Christian (referred to as "OC" within the family). As a friend, donor, and mentor to OC and numerous OC presidents, faculty and staff members, Buck partnered with former university president, Dr. James O. Baird, to develop a school in South Korea. Upon obtaining the blessing and approval of the South Korean government, OC instructors were sent to the school to teach English. On March 29, 1996, The University honored Buck and Mary Buchanan for their longtime involvement and support. In December, 2004, Buck received an Honorary Doctorate Degree from OC. In addition, Buck holds the distinction of being the oldest student to ever enroll for classes at OC for the fall semester of 2007. With the assistance of one of his sons as driver to and from the campus, Buck was warmly greeted by faculty, staff and fellow students as he drove his electric wheelchair from class to class. Buck was an ardent fan of the OC Eagles Basketball Program; and as an Eagles Booster Club member, maintained 2-4 season tickets through the 2007 season. Mr. Buchanan served as an elder at 31st and Penn Church of Christ in Oklahoma City, White Station Church of Christ in Memphis, TN, and was one of a small group who founded College Church of Christ in Oklahoma City, now known as Memorial Road Church of Christ, where he was a Charter Member and one of the first three original elders. Buck's philosophy regarding church responsibilities was the practice of unity and focus on next-door to worldwide missions. Prior to his moving into Gran Gran's Nursing Home in Yukon, OK, he was advising and encouraging the "planting" of the Oakdale Church of Christ in OKC. He resigned as an elder at Memorial Road in 2005 after his wife passed in December, 2004. Buck was preceded in death by his parents; his wife, Mary Lee Scroggin Buchanan ; one sister, Gladys Merle Buchanan; one brother, J. B. Buchanan; and one granddaughter, April Anjeanette Buchanan. He is survived by a brother, Glen Buchanan of Benton, AR; a sister, Mae Laverne Back, of McLean, TX, sister in-law, Helen Allison and husband J.H. of Morrilton, AR; sons: Ancel Lee Buchanan and wife, Judy, of Smyrna, GA; Kenneth R. Buchanan and wife, Peggy of Oklahoma City; Albert Brent Buchanan and wife, Helga of DeLand, FL; James Baxter "Jim" Buchanan and wife, Marilyn, of Edmond, OK; and Robert Edwin "Eddie" Buchanan and wife, Kathy, of Broken Arrow, OK; 13 grandchildren, 21 great-grandchildren, numerous nieces and nephews and a host of business, church and university friends. The family requests memorials be made to In Search of the Lord's Way, P. O. Box 371, Edmond, OK 73083; Memorial Road Church of Christ Missions Program; or to Oklahoma Christian University of Science and Arts Bible Department. Visitation is Sunday, 1:30-8:30 p.m., and Monday, 8:30 a.m.-8:30 p.m., at the funeral home that bears his name, Buchanan Funeral Service. Services to celebrate his life will be 2:00 p.m., Tuesday, November 3, at Memorial Road Church of Christ, 2221 E. Memorial Road, Oklahoma City, OK, with burial at Memorial Park Cemetery.